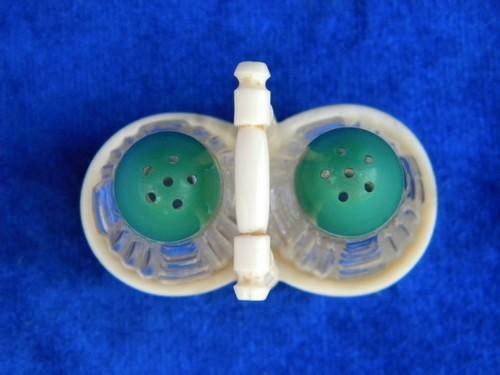 1920s - 30s vintage Lapin - USA made salt and pepper shaker set, in a french ivory celluloid or plastic carrier stand. 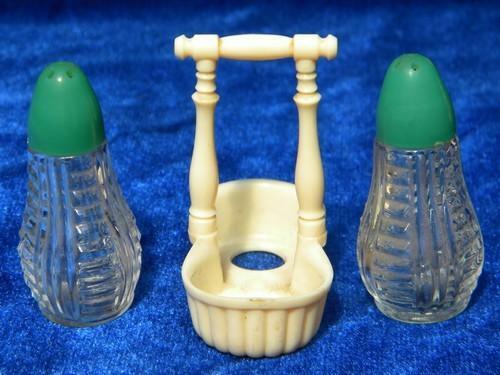 The shakers measure just 2 1/2" tall, and the shaker lids are jade green plastic. The entire set looks good, without chips, cracks or damage to the plastics or the glassware.